The big question with every new Star Wars movie since the original has been, “will this live up to the hype?” The Force Awakens, the first entry of the famed space opera to open in the social media era* does not disappoint. Director J.J Abrams, the man behind LOST, and the last two Star Trek films, has just had his coronation. Abrams accepted the massive responsibility of not only helming Disney’s newest and shiniest mega-franchise, but also assuaging any concerns that fans had after the prequel trilogy. Suffice it to say, J.J. done good. The Empire is no more, but the First Order, led by a new roster of dark forces, has risen in its place. The Force Awakens follows the defection of a First Order stormtrooper named Finn (John Boyega). Raised to lead a life he never believed in, he leaves to team up with a resistance pilot and eventually, a desert scavenger on a mission to bring peace to the galaxy once more. 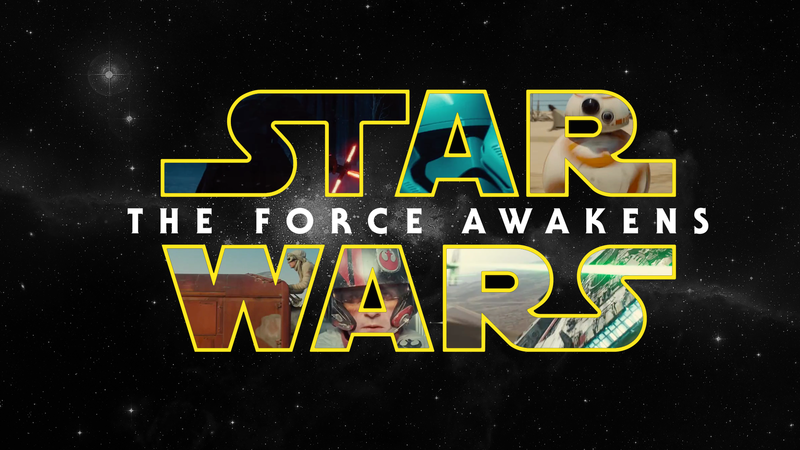 Everything just feels right about The Force Awakens. The characters are wide-eyed. The explaining is kept to a bare minimum, generally allowing the actors to find subtext and wonder. The action flows wonderfully, and the diverse scenery is beautiful, delivering desert, forest, and snow. The mission to expunge any lingering bad taste from the prequel trilogy is a success. J.J. Abrams’ directed the actors with a tenderness that has served him well in the past on Star Trek and Super 8. He also dialed back the hyperactive camerawork (at least a little) from his Trek days, a trick he very well may have internalized from watching the original Star Wars trilogy. This is not to say Abrams’ take on Lucas’ material is stodgy; it is highly modern and vibrant, but he clearly felt a responsibility to the fans and took it to heart. A few eyebrows may have quirked back when it was announced Abrams would make the jump from Team Trek to Team Star Wars, but it’s hard to imagine that anyone could have done a better job here. Among the biggest stories during production revolved around the return of actors Harrison Ford, Mark Hamill, and Carrie Fisher**. The big three look a little older than they did in 1983, but they seemed to have no problem sinking back into their beloved characters. Ford gets the big star part of The Force Awakens, and despite his historical prickliness, he carried this film with a lot of warmth. And, oh yeah, C-3PO has a red arm now. It’s worth noting that the established fan favorites were handled much more gracefully in The Force Awakens than Blofeld was in Spectre. Even with a great actor like Christoph Waltz playing the iconic Bond villain, important characters require more than a clumsy name drop to have the intended emotional impact. The Force Awakens, on the other hand, manages to seamlessly integrate old and new. The familiar faces were welcome, but it’s the new faces who took the torch on the run. After Ford, Daisy Ridley is arguably the biggest scene-stealer. Ridley plays Rey, an adventurous scavenger who makes ends meet by pawning valuable junk. A complete unknown when initially cast, Ridley gives an intense and physical performance that is sure to be one of the most talked-about surprises of the film. The other new casting decisions mostly paid off. John Boyega, alongside Ridley, anchors another starring role as Finn. The two 23-year-old actors were instrumental in helping the film capture the grand mythos of the original trilogy. Adam Driver is the new central villain, a Vader idolator named Kylo Ren; and Domhnall Gleeson, a Hitler-ish First Order general. The remainder of the cast is well-rounded. If anything from the casting department was disappointing, it was that Lupita Nyong’o was relegated to voice work. I may also have to reserve judgment on Oscar Isaac’s character, Poe Dameron. Isaac is a great actor, and while his role as a daredevil pilot for the resistance sounds juicy, here’s hoping he gets to be a little more dynamic next time. It’s hard to proclaim that any movie could ever be perfect, especially with as much information available at our fingertips as we have today. Any nitpicking*** should be disarmed when you have a movie as fun and satisfying as The Force Awakens. A wild state-of-the-art ride for modern audiences, and an emotionally worthy follow-up to a much-revered 40-year-old film. A joy for all. 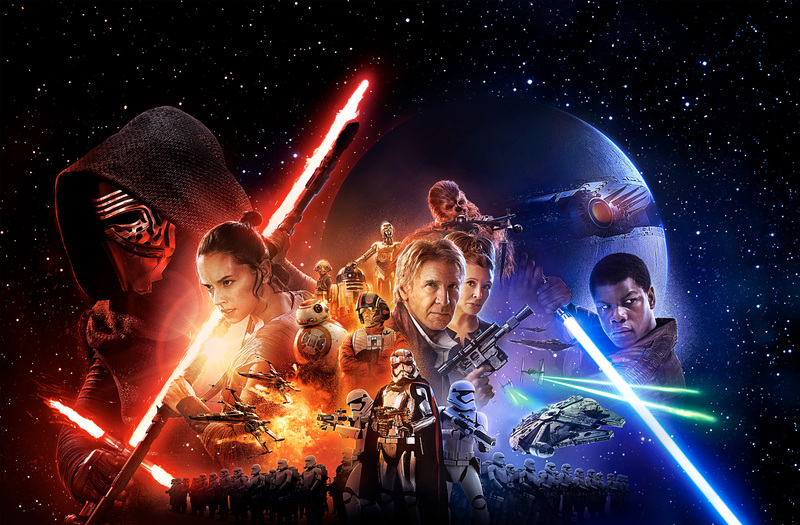 The future looks bright for Star Wars fans once again. *Revenge of the Sith debuted shortly after the launch of YouTube in early 2005 if you can believe it. **Peter Mayhew, Anthony Daniels, and Kenny Baker were also present! ***Okay, allow me one more nit. As much as the hoody-like costume seemed to suit Adam Driver’s Ren, here’s hoping he goes full cape in Episode VIII.